Well hello there! Life has been a little crazy as of late. Cray in a good way. This is the first night I’ve had to myself in months. Months! I’m trying to slow down, but I’m bad at it. Truth is, I might not want to be good at it. Change is in the air here at Happelsauce HQ. I’ve managed to land myself a new job. It’s very different from what I’m doing now. It will involve incredible food. It will require lots of writing. It is right up my alley…with a cherry on top. I am thrilled and anxious. I am so ready. My last day is next Friday and I don’t start my new job until August 1st. That’s almost 6 weeks of recess, my friends. Six. Weeks. School’s out for the summer! I can’t seem to wrap my head around it. I want to maximize every single second. I want to do absolutely nothing and everything at the same time. The world is my oyster. 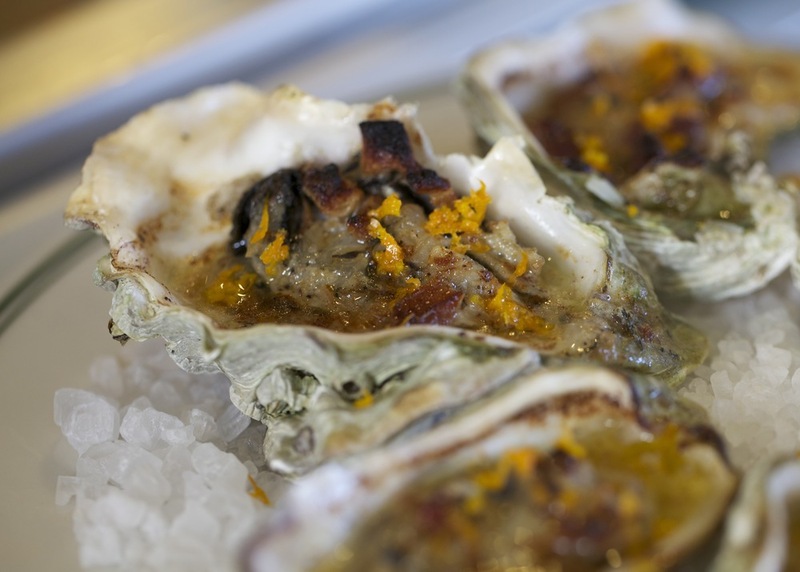 Speaking of oysters…Hard Water is a new restaurant on the Embarcadero, just a hop away from the Ferry Building. It specializes in oysters, Southern fare and whiskey. My kind of spot. I’ve been twice. Both times have been delightful. On each visit I’ve had Will as my bartender/server. He knows his bourbon and whiskey. He knows the menu. He made me a mean Old Fashioned. He recommended the celery hearts over the fried alligator. Will knows. Lucky for us, he’s sharing his knowledge in a very articulate and enthusiastic fashion. Cheers to Will! Cheers to oysters! Cheers to this big, wide, crazy, amazing world we live in…may we always seek exploration and uncover inspiration. SF Snapshot acknowledges the people, places and flavors in San Francisco that inspire us. Let’s pay homage. Bow down. Raise a glass. Inspiration is all around us. Born and raised in Kansas City, MO then spent a formative 18 years in Seattle, WA. I moved from Seattle to the city of San Francisco one year ago, June 13th. 9 years. Still haven’t figured out if that’s a long time or not. The younger, newer, bartenders know way more than I did when I started and the ones older than me have more experience. Ha! I think all that matters is if you’re happy doing the job, regardless of how long you’ve been doing it. If you’re happy doing your job, then you can make the guest happy. It’s a win win. A unique reciprocal reward in this profession. What’s your favorite drink to make? Why? The simpler ingredient ones (3 – 5 ingredients, bitters included). When you make someone a great Old Fashioned or Daiquiri they can be amazed at how great a properly made cocktail can be without using a ton of fancy ingredients or infusions or whatever. I love making unique and more complicated concoctions, but I suppose I find more soul in the simpler things. And that’s more often what I appreciate when I’m on the other side of the bar as well. 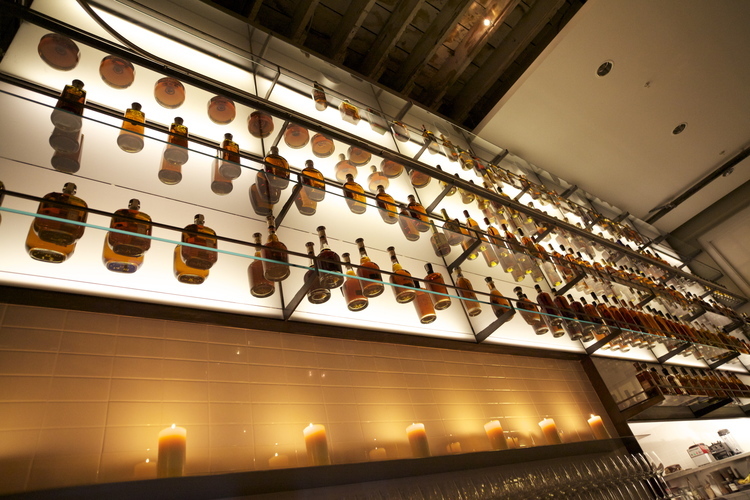 If you had to pick your favorite sipping whiskey, what would it be? If I’m strapped for cash/not feeling fancy, I’ll drink Evan Williams Single Barrel, Buffalo Trace, Rock Hill Farms (that’s only 3 outta many other numerous good choices). That’s what’s great about American whiskey, you don’t have to spend a lot to drink well. If I was to indulge however, I love the Thomas H Handy Sazerac Rye, the Vintage 23yr Rye is a showstopper, everyone should get the privilege of trying the A.H. Hirsch 16 yr at least once in their lifetime and the E.H. Taylor Warehouse C (Tornado Surviving) Bourbon must be tasted to be believed (again, that’s 4 outta many numerous others both rare and unique). What’s your favorite thing on The Hard Water menu? I truly love our milk-braised crispy fried celery hearts (there’s no meat on that dish and yet still I recommend it which says a lot). Cocktail-wise, I’m very much in love with our Cocktail a la Louisiane. 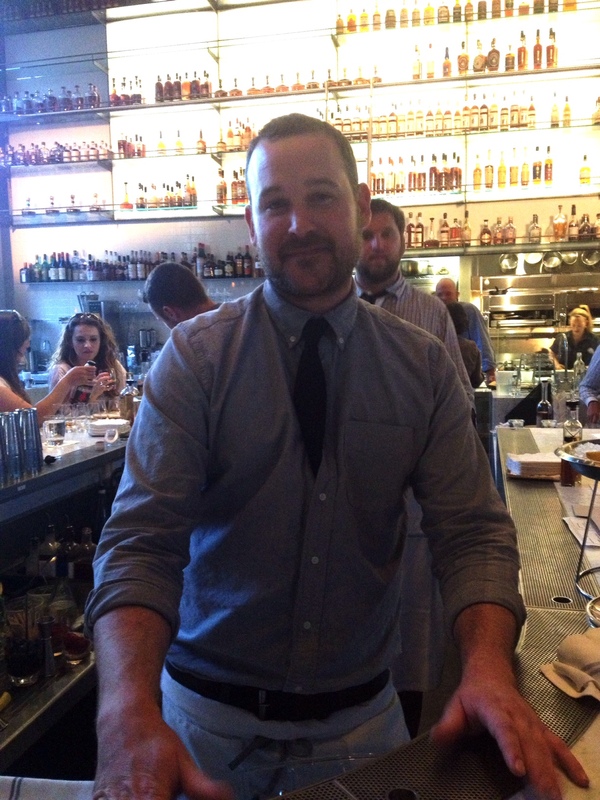 Erik Adkins (HW’s bar manager/best bartender/best person ever) made it for me at The Slanted Door months before Hard Water opened and his version has the best specs of that cocktail I have ever tasted. The other side of me, and I hate saying this cause I don’t wanna lose my seat, but I can’t wait until our patio opens so I can go in on my day off, bask in the Embarcadero sunshine with sunglasses on and order 1 or 2 dozen of our 3 types of baked oysters and drink 2 bottles of Cep Rose. I’m easy. Where will I find you eating and drinking on your day off? Neat…you can always add water later. That’s like saying… “If you had 2 children, which one would you like more?” It’s unfair and (perhaps) ever-changing. But mainly, it depends on the selection at the bar and how much I got in my wallet. Deep Fried. I appreciate the delicacy of the latter option, but, well, I’ll be damned if “deep fried” doesn’t excite me. How exciting!! What’s the new job?!!! Thanks, Sam! I’m the new Director of PR for an amazing, small restaurant group in SF. I’m very excited. I hope all is grand with you! Sending hugs. I think they had Montana Rye! Love you, sister. Congratulations. Cannot wait to hear what the new job is. I know you will be great! « SF Snapshot: Mexican Match Up!